Add Your Text to the Mangotipi Black T-Shirt (Two Sides) Add your own text as well as move the kowhaiwhai pattern up or down to position it where you would like it. You can even add text to the back. The mangotipi pattern represents the white pointer shark. 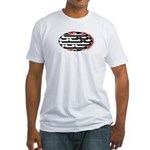 Add Your Text to the Mangotipi White T-Shirt Add your own text as well as move the kowhaiwhai pattern up or down to position it where you would like it. The mangotipi pattern represents the white pointer shark. Add Your Text to the Mangotipi Black T-Shirt (Two Sides) Add your own text as well as move the kowhaiwhai pattern up or down to position it where you would like it. You can even add your own text to the back. The mangotipi pattern represents the white pointer shark. Aotearoa with Paua Design Black T-Shirt The lettering as well as the bar in this design is done in a Paua design pattern. Paua are found all around the coastal waters of Aotearoa, New Zealand. The further south the paua are, the colder the water is and the colours are darker. Aotearoa with Paua Design Dark T-Shirt The lettering as well as the bar in this design is done in a Paua design pattern. Paua are found all around the coastal waters of Aotearoa, New Zealand. The further south the paua are, the colder the water is and the colours are darker. Chief Ringa Wera Black T-Shirt For the Chief Ringa Wera. Our great black t-shirt is made of 100% preshrunk cotton, high-quality and heavyweight. Standard fit. Mens Fitted T With New Zealand Motif - Awesome Contemporary New Zealand Design on Fitted T. For stylish weekend comfort anytime, guys will want to live in our Fitted T. Made of ultra-fine, combed ring-spun cotton, that gets softer with each washing. Lightweight for summer comfort or winter layering. Grab attention with this vintage fit that loves to hug skin. (Size up for a looser fit). 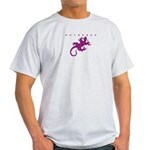 Aotearoa Lizard Lizard design from northland & maori motif on the back. Look cool without breaking the bank. Our durable, high-quality, pre-shrunk 100% cotton t-shirt is what to wear when you want to go comfortably casual. Preshrunk, durable and guaranteed. New Aotearoa A design incorporating elements of traditional & contemporary Maori design. Get back to basics with the Value T-Shirt. Enjoy a great look and fit at a reasonable price. The Value T is made of cool, midweight 100% cotton and is perfect for casual summer days. Organic Cotton Tee Lightweight for summer comfort or winter layering, our Men's Organic T-shirt is one of our most popular fine tees. It's what to wear when you care about having 100% organically-grown cotton next to your skin. The next best thing to nothing, naturally.